Nestled along the rolling hills of eastern Ohio, a stone’s throw away from Pennsylvania is the village of Lisbon. Named after the Portuguese capital city, life in this community of fewer than 3,000 residents is simple and relaxed. A place where everyone knows each other and you’re sure to be greeted with a smile and friendly hello. It’s also in this small village where big things are happening. Take a drive along Maple Street and you’ll find yourself between a row of white houses and a gravel lot that leads up to the front of a dark and mysterious building. But looks can be deceiving. Look inside and you’ll see the future is brighter than ever. This is Albco Foundry and Machine, and it’s called Lisbon home for more than 60 years. Established as a brass and bronze sand foundry, Albco expanded into the world of graphite permanent mold, and today features 700+ molds in service. The team led by Joe Staffeld is experienced and knowledgeable with many employees having over 20 years of service. 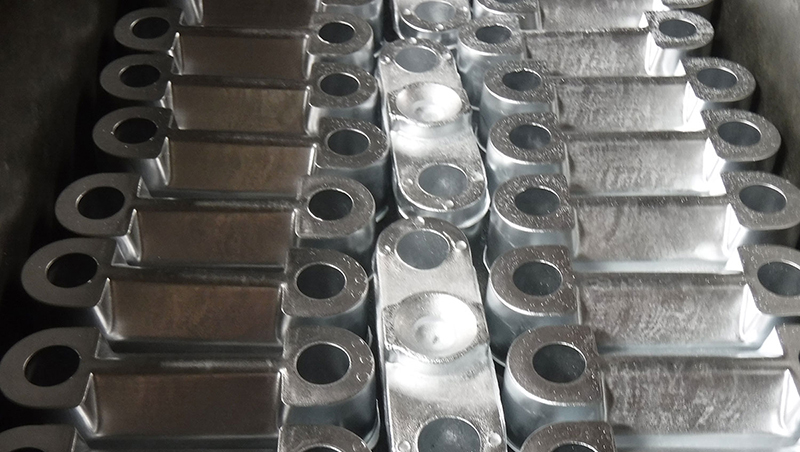 Albco offers the same alloys and processes you can expect from any foundry, but what makes this facility in Lisbon stand out from the crowd is the capability to use graphite permanent molds to produce near net shape component parts in zinc-aluminum. 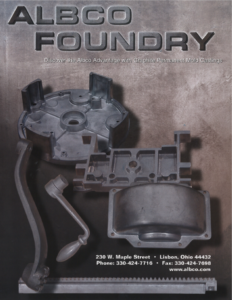 “Your success is our mission and the goal here is to reduce your current component manufacturing costs while at the same time enhance your product’s performance, appearance and quality,” states Joe Staffeld, President of Albco Foundry and Machine. Have a question? The Albco team has an answer at (330) 424-7716.